Julz Palad Soriano Ignacio is a musician, healer, and ritualist. Julz’ art and healing practice is centered in handpoke batek ritual, singing and creating original music, and continued learning and practice of Philippine herbal folk healing. Julz is rooted in and guided by their ever-evolving journey of decolonization, commitment to healing and social justice, and dedication to supporting folks’ healing and self transformation. 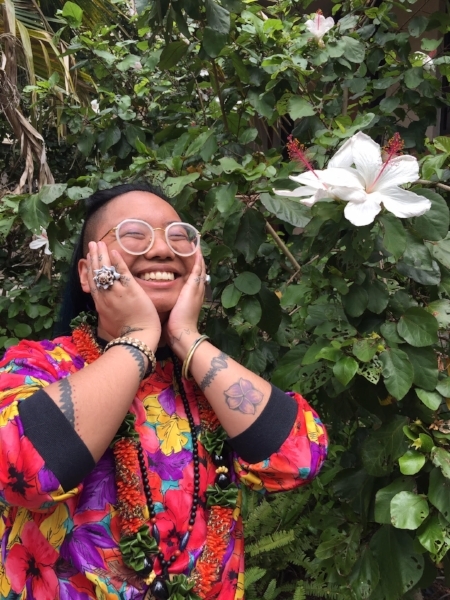 Julz self-identifies as a genderfluid disabled hard-of-hearing queer Ilokano femme, and currently resides in Duwamish territory (aka Seattle, WA). "Where is home when you are a settler on stolen land of the “Americas”? Where is home when your people have been divided: indigenous vs. forced to forget?"